Pre-employment screening in the state of Maine is something that employers should take seriously in order to follow safe hiring practices. Utilizing a criminal search that is sure not to miss any possible crime a job candidate may have will give you peace of mind when screening your potential employees. In Maine, it is suggested to use a Statewide Criminal Report in conjunction with our standard National Criminal Report. This goes directly to the State of Maine Judicial Branch, and covers every county in the state in real time. Intelifi can provide a comprehensive search for employers that includes both of these searches. 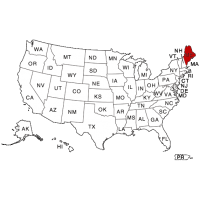 Criminal background checks in the state of Maine will provide you with all Felony and Misdemeanor convictions. This can range from severe crimes such as Aggravated Assault With a Deadly Weapon, to less severe offenses such as Disturbing the Peace. Contact Intelifi today to speak to one of our account managers and begin comprehensive pre-employment screening in the state of Maine.